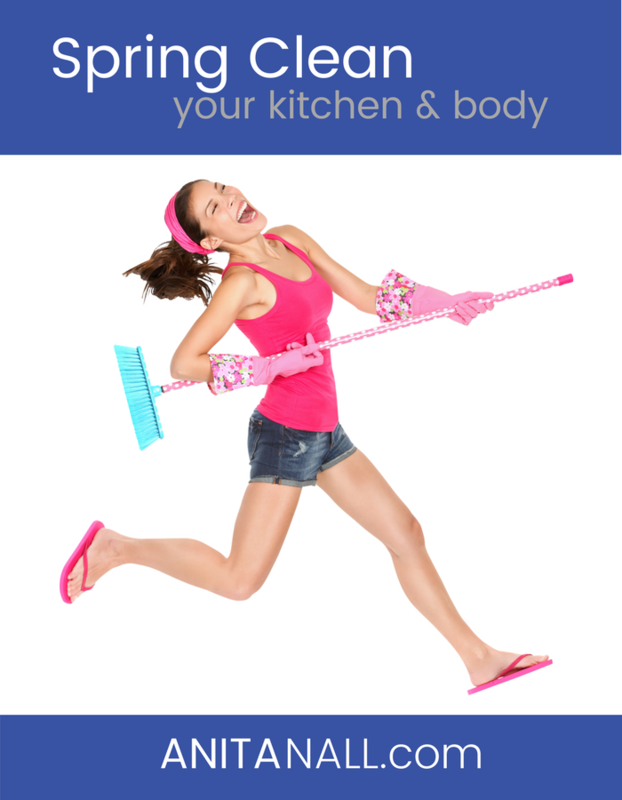 Spring Cleaning Your Home and Health! The time has come to get into your swimsuit and strut your stuff at the pool and beach, which probably means you’re getting serious about your food plan. 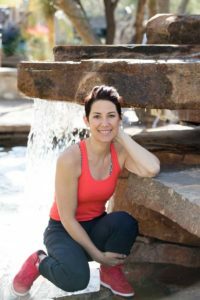 This month, all of my blogs will focus on spring cleaning – cleaning out your kitchen AND your body! Spring is a great time to renew your commitment to your health and take on some new actions that get you the results you want… permanently! You may have noticed that I rarely talk about weight loss in my blogs. I do this by design; my philosophy is that weight loss is a healthy side effect of taking care of your health and wellness, as opposed to being THE GOAL. In other words, weight loss is never the primary goal of my programs, but rather, a healthy side effect of getting your %^& in order with your health. Far too often, people go on fad diets only to lose a bunch of weight and gain it all back after the “diet” is over. If you’ve found yourself in this position before, it’s time to get off the endless wheel of dieting and take on your health and wellness with vigor this spring. Even if weight loss isn’t your focus, this month’s blog posts can still help you with your health and wellness goals as we take a closer look at cleansing your space, as well as your body. To get into action today, let’s talk about cleansing your space. Getting your kitchen AND pantry in order for optimal efficiency and action with your food plan is the foundation of spring cleaning. Having a cluttered kitchen area/home is going to hold you back from reaching your highest health potential. b) reducing the internal stress that clutter creates. Go through your pantry and refrigerator and clear out any food and drink that is toxic or that you know you struggle with. There is no sense in keeping toxic or addictive foods around (I’m pretty sure you know what these foods are… cookies, pies, pastries, candy, crackers, and chips – those things that you can’t eat just one or two of). Once you’ve ridden your spaces of toxic food and drink, it’s time to get your pantry organized. In a previous blog, I broke this process down in detail, which you can reference to get started. Next up is your refrigerator. Remember, you want to have a free-flowing space that makes it EASY to prep, cook, and clean. Clutter will hold you up! For your convenience, I also wrote a detailed blog about cleaning out your refrigerator. Create a meal plan that you can stick to. I’m not a fan of rigid meal plans; that’s why I teach people how to create meals based on my Power Plate Formula™ for mealtime success. Nevertheless, a general meal plan for the week does help to keep you on track. To make meals easier on myself, I use the Instant Pot a lot for making any of the above proteins that typically take time, like the beef stew. Don’t wait to take action! The time is NOW. Spring is the perfect time to hit reboot on your health goals. I help individuals feel and perform their best, get fit, and stay fit for life! Through my programs and signature Power Plate Formula® for mealtime success, I give high-performers, practical and applicable steps to improve their health and wellness that don’t require you to count calories or spend hours at the gym.